Guided tour with a guide of Cognac Tourist Office. It’s one of the most important grape harvest machines producer in the world. The society proposes a range of equipments for each season in vineyard from pre-pruning to grape harvest. 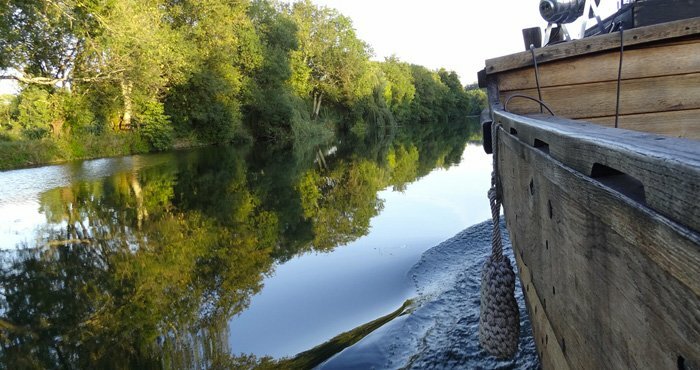 Coming to Cognac is discovering the secrets of the most famous eau-de-vie of the world. In the silence of the cellars, behind the high walls darkened by the torula coniacensis (microscopic fungus which feeds itself with the vapour of alcohol, the angels’share), the initiated can now discover and understand the elaboration of the alchemy. To live according to the rhythm of nature and the four seasons, what’s more natural ? Evocation of the growth areas, the grape varieties, the soil but also discovering the typical “ charentaise” mansions. A stop at a wine grower will enable you to get in touch with local people who love their land and who know how to speak about it better than anyone. Since 19th century, practices, industries, and “savoir-faire” which simultaneously show the respect of tradition and use of new technologies, have grown around the eau-de-vie which has made Cognac famous world-wide. When the History of the cognac meets the History of France. A unique guided tour of the royal Castle of Cognac, place of birth of King François 1er the Ist.